She let her weight, BP and cholesterol soar. Then she did something about it. Now she helps others do the same. Tina Johnson, "Winning At Life" Photo by Louise Ricks. When Tina Johnson heard about her school’s jogging club, she couldn’t wait to join. She was 5. When a boy she liked in middle school said, “You can’t run,” she earned a spot on the track team. 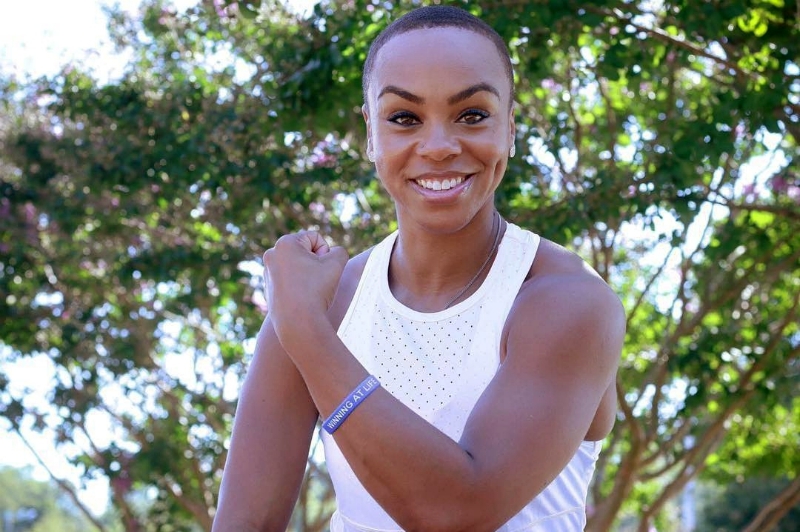 When a partial track scholarship lured her to Virginia Commonwealth University, she reached a personal pinnacle by competing in the Penn Relays – twice. Teammates voted her team captain as a senior. At season’s end, she received a plaque commemorating her VCU career. And it was there when a nurse visited Tina’s house to screen her for a life insurance policy. Photo courtesy of Tina Johnson. Tina soon learned she was overweight and had high blood pressure and high cholesterol. With a family history of heart disease and her father having diabetes, her risk of suffering a heart attack, stroke or other cardiovascular event was growing. Put another way, if she didn’t do something about her unhealthy diet and sedentary lifestyle, there was an increasing chance of her family cashing in that life insurance policy. What follows isn’t a tale of a dramatic weight loss, but rather something more relatable and, hopefully, more repeatable. It’s the story of a woman recognizing the areas of her life where she could improve and – slowly, smartly – making the changes to look and feel better. It’s also a story that embodies new research-based messages from experts about how people can improve their heart health. My organization, the American Heart Association, and the American College of Cardiology released Sunday revised guidelines for doctors to use when counseling patients about how to prevent heart disease. 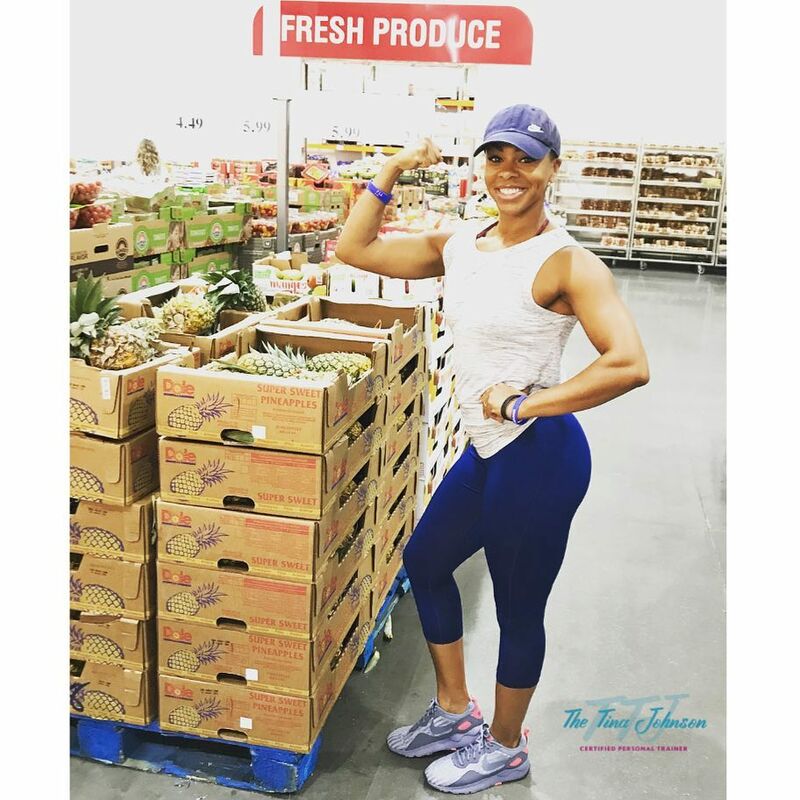 They include the usual starting points of exercising regularly, eating a nutritious diet and not smoking, and emphasizes focusing on the “social determinants” of a person’s health. This includes evaluating the person’s access to healthy food, safe places to exercise and quality care, plus factors such as quality of sleep, stress and even cultural or societal perceptions about body size and image. Fittingly, Tina’s turnaround started during a doctor’s visit. Tina weighed 169 pounds, near the peak of her pregnancy weight. Her youngest child was now 3, so it was no longer “baby weight.” Calling it that was part of her denial. Another form was begrudgingly building a wardrobe for her growing physique. While weight was the most visible symptom of Tina’s lapsing health, bigger concerns were her elevated blood pressure and cholesterol readings. The doctor told Tina she was giving her three months to get those numbers under control or she’d have to begin taking medicine that would do it for her. The doctor hadn’t told Tina to constantly make the healthiest choice; her word had been “consistently.” At the follow-up appointment, Tina’s blood pressure and cholesterol were back in the normal range. Her weight was in the 150s. She challenged herself again. On a Thanksgiving morning, Tina stepped on the scale. It read 133. She celebrated by wearing a size 4 to her family’s feast. Her trainer’s husband was a competitive bodybuilder, and the trainer encouraged Tina to give it a try. She would only agree to attend an event. “I fell in love with it,” she said, laughing. Tina’s then-and-now transformation. Photo courtesy of Tina Johnson. When Tina was around 10, she had signed up for a beauty pageant. She had to raise money to pay for it and didn’t get enough. 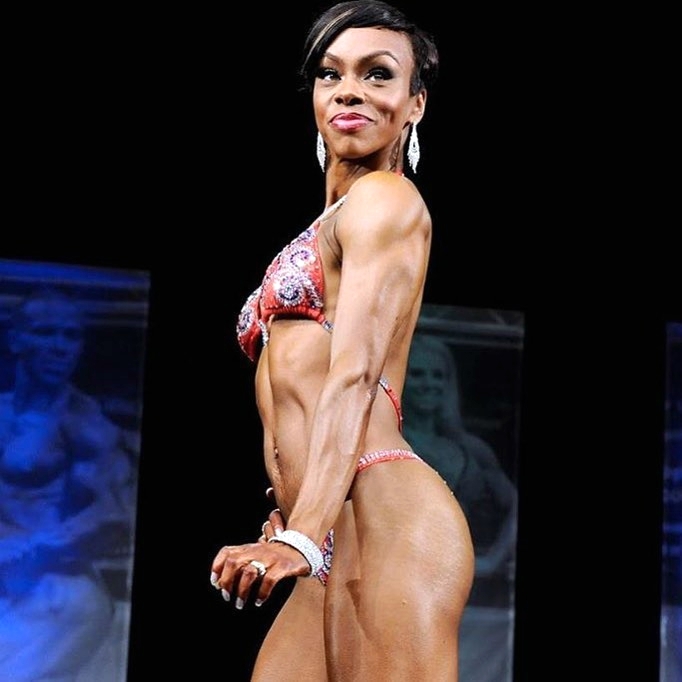 She saw competitive bodybuilding as a second chance at fulfilling that childhood desire blended with fulfilling what was becoming an important part of her adulthood. 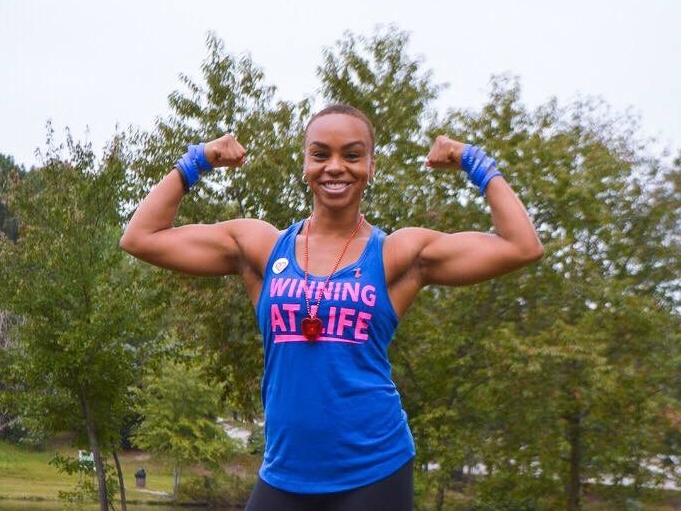 In June 2017, she gave up the daycare to further commit herself to the fitness world. She’s become an ambassador for my organization’s Go Red for Women movement, and she’s been a run ambassador for the national Black Girls RUN! movement. “I always want to help people,” she said. Sharing this story is part of the way she gives back. And, there’s one more twist to it: Her background as an athlete isn’t the only reason this is a cautionary tale. She gave that up for the home daycare mainly to avoid putting her daughter in someone else’s care. So when the results of that physical forced Tina to face her own mortality, memories of her hospital career were fresh enough that she vividly understood the stakes. “I want people to know that I knew better,” Tina said. Tina at an American Heart Association Heart Walk. Photo by Krystyn Young-Benham. Her heart stopped on U.S. Highway 62. CPR and an AED revived her.